If you’re considering installing a gas appliance in your house, it’s crucial that you get a licensed and certified plumber to handle the job. Gas fitting and repairs aren’t jobs that can be handled by a novice. This work requires specialized skills, knowledge, and experience. When you opt for Melbourne gas fitting and repair services from experts like the ones at King and Sons Plumbing Melbourne you have peace of mind that the appliance has been installed correctly. We will also issue will compliance certificate, which helps validate the product warranty. 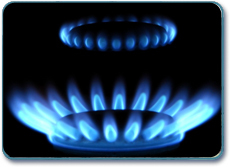 When it comes to LPG or natural gas, we can handle it all. While we provide excellent services to residential customers, our team is able to handle large-scale commercial gas fitting and repair jobs too. Every single plumber on our team is formally trained, insured and experienced in various aspects of plumbing services. Ranging from gas appliance repairs, general maintenance and installations and everything in between, we can provide you the highest level of services at the most competitive pricing. We also know that gas leaks can crop up at any point of time without warning. It’s why we have a rapid response team on call round the clock to handle any type of gas emergencies. These services give you peace of mind that your call will be attended to promptly and that that certified and licensed gas fitters in Melbourne will be at your location within the shortest possible time. We are on call to handle gas leak emergencies 24 hours, 7 days a week. In addition to gas fitting & repairs, we also provide prompt, efficient and professional preventive gas maintenance Melbourne services. As part of these services, our team will inspect gas fuel burning heaters, central heating units, wall furnaces, space heaters, and water heaters and all other gas installations and appliances in your home. This goes a long way toward reducing the risk of carbon monoxide poisoning in the indoor areas of your property.